An excellent way for you to support the many parishes, schools, and ministries throughout the Diocese of St. Petersburg is to leave The Catholic Foundation, Diocese of St. Petersburg a bequest in your will, living trust or with a codicil. One significant benefit of making a gift by bequest is that it allows you to continue to use the property you will leave to charity during your life. Another benefit is that you are able to leave a lasting legacy. There are a number of ways you can make a bequest to The Catholic Foundation, Diocese of St. Petersburg for your favorite parish, school, or other Catholic ministry or directly to the Foundation for the needs of our Diocese. Specific Bequest. A specific bequest involves making a gift of a specific asset such as real estate, a car, other property or a gift for a specific dollar amount. For example, you may wish to leave your home or $10,000 to Emmaus Foundation, Inc. d/b/a The Catholic Foundation, Diocese of St. Petersburg. Percentage Bequest. Another kind of specific bequest involves leaving a specific percentage of your overall estate to charity. For example, you may wish to leave 10% of your estate to Emmaus Foundation, Inc. d/b/a The Catholic Foundation, Diocese of St. Petersburg. Residual Bequest. A residual bequest is made from the balance of an estate after the will or trust has given away each of the specific bequests. A common residual bequest involves leaving a percentage of the residue of the estate to charity. For example, you may wish to leave 30% of the residue of your estate to Emmaus Foundation, Inc. d/b/a The Catholic Foundation, Diocese of St. Petersburg. Contingent Bequest. A contingent bequest is made to charity only if the purpose of the primary bequest cannot be met. For example, you could leave specific property, such as a vacation home, to a relative, but the bequest language could provide that if the relative is not alive at the time of your death, the vacation home will go to Emmaus Foundation, Inc. d/b/a The Catholic Foundation, Diocese of St. Petersburg. In order to make a bequest, you should speak with your attorney. Your attorney can help you include a bequest to The Catholic Foundation, Diocese of St. Petersburg in your estate plan. We have provided some basic bequest language to assist you and your attorney. I hereby give, devise and bequeath _________ and No/100 dollars ($DOLLARS) to Emmaus Foundation, Inc. d/b/a The Catholic Foundation, Diocese of St. Petersburg, a nonprofit organization located at 6363 9th Ave., N., St. Petersburg, FL, 33710, Federal Tax ID #59-3519543, for The Catholic Foundation, Diocese of St. Petersburg's general use and purpose. I hereby give, devise and bequeath DESCRIPTION OF PROPERTY to Emmaus Foundation, Inc. d/b/a The Catholic Foundation, Diocese of St. Petersburg, a nonprofit organization located at 6363 9th Ave., N., St. Petersburg, FL, 33710, Federal Tax ID #59-3519543, for The Catholic Foundation, Diocese of St. Petersburg's general use and purpose. I hereby give, devise and bequeath all of the right, title and interest in and to the real estate located at ADDRESS OR DESCRIPTION OF PROPERTY to Emmaus Foundation, Inc. d/b/a The Catholic Foundation, Diocese of St. Petersburg, a nonprofit organization located at 6363 9th Ave., N., St. Petersburg, FL, 33710, Federal Tax ID #59-3519543, for The Catholic Foundation, Diocese of St. Petersburg's general use and purpose. I hereby give, devise and bequeath ____ percent (___%) of my total estate, determined as of the date of my death, to Emmaus Foundation, Inc. d/b/a The Catholic Foundation, Diocese of St. Petersburg, a nonprofit organization located at 6363 9th Ave., N., St. Petersburg, FL, 33710, Federal Tax ID #59-3519543, for The Catholic Foundation, Diocese of St. Petersburg's general use and purpose. I hereby give, devise and bequeath to Emmaus Foundation, Inc. d/b/a The Catholic Foundation, Diocese of St. Petersburg, a nonprofit organization located at 6363 9th Ave., N., St. Petersburg, FL, 33710, Federal Tax ID #59-3519543, ALL OR A PERCENTAGE of the rest, residue and remainder of my estate to be used for The Catholic Foundation, Diocese of St. Petersburg's general use and purpose. If (primary beneficiary) does not survive me, then I hereby give, devise and bequeath to Emmaus Foundation, Inc. d/b/a The Catholic Foundation, Diocese of St. Petersburg, a nonprofit organization located at 6363 9th Ave., N., St. Petersburg, FL, 33710, Federal Tax ID #59-3519543, DESCRIPTION OF PROPERTY to be used for The Catholic Foundation, Diocese of St. Petersburg's general use and purpose. ...for the benefit of (Name of the entity) of (City, ST). 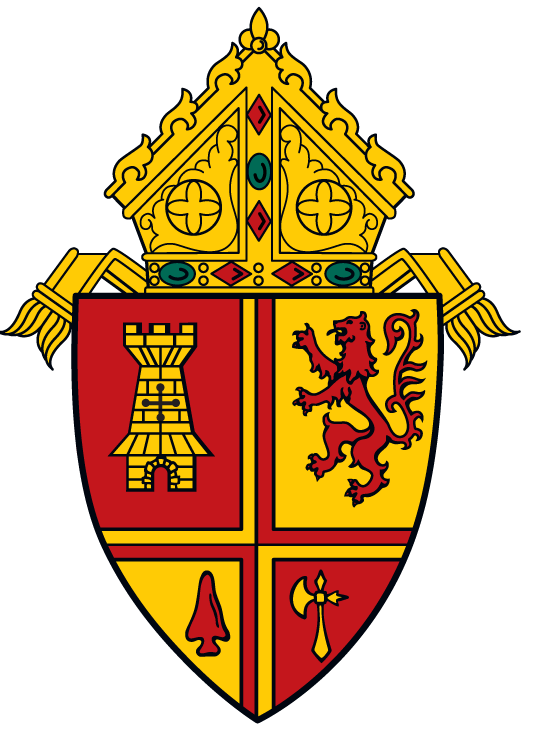 If, in the judgment of the Board of Directors of The Catholic Foundation, Diocese of St. Petersburg, it shall become impossible for The Catholic Foundation, Diocese of St. Petersburg to use this bequest to accomplish the specific purposes of this bequest, The Catholic Foundation, Diocese of St. Petersburg may use the income and principal of this gift for such purpose or purposes as the Board determines is most closely related to the restricted purpose of my bequest. Please contact us if you have any questions about how to make a bequest to The Catholic Foundation, Diocese of St. Petersburg or to request any additional information that might be helpful to you and your attorney as you consider making a bequest to us. If you have included a bequest for The Catholic Foundation, Diocese of St. Petersburg in your estate plan, please contact us to let us know. We would like to thank you and recognize you for your gift.